Apple is said to be planning a voice mail and transcription service which would utilise Siri as a personalized answering machine. According to Business Insider, the tech giant company will be testing a voice mail service wherein Apple’s digital assistant on the iPhone and iPad, Siri, would be responding to incoming phone calls with a personal message, if the recipient is not available or does not prefer chatting. An updated service known as iCloud Voicemail would record your voice mail into text which can be read in leisure. Besides Siri there is other voice assistant in town which faces competition from two other main rivals. Google Now is a feature running Google’s Android software though it is also available for iPhone and iPads. Microsoft’s Cortana has gone beyond Windows mobile phone on Windows 10 computers as well as tablets. Moreover, Cortana would also be available as an iOS app somewhere later this year. Hence Apple needs to continue innovating Siri to portray that it could do more than just answering queries put across to it. Voice mail could be a good niche for Siri, provided the transcription is reliable and accurate. According to Business Insider, Siri would answer the incoming calls though not with standard messages. The iCloud Voice mail would share information with certain people like where you are and why you can’t answer the call right away. The voice mail in turn sends it to Apple server where Siri thereafter converts the voice message into text, displaying them on the iPhone to be read just the way one would read a text message or email. As per reports from Business Insider, the new iCloud service and Siri integration is presently being tested by the employees of Apple, intending to launch it somewhere in 2016. They further added that they heard about Apple employees using the service some weeks ago and presuming this information to be right, it would mean that we would be able to tap into the service when the next mobile operating system, iOS 10 of Apple will be launched later next year. Presently one can prompt Siri to play the voice messages so that the user does not have to manually activate them. Viewing the voice mail as text would tend to be much easier than having to play and replay the message in its initial audio format. Voice mail transcription service has already been offered by Google through it Google voice service. In this regards, no comments have been provided by Apple.Enabling voice-to-text, a main option on smartphones would help businesses to overcome the increased interest in messaging and the declining interest in actual voice calls. A Pew survey from 2012 had indicated a decreasing interest in voice calling with 26% of teens stating that they talked daily with friends on their cell phones, down from 38% of teens surveyed in 2009. Achieving voice transcription and enabling it to work as promised is a vast undertaking. Hence most of them expects that iCloud Voicemail is included with iOS 10 and not as a part of incremental upgrades in iOS 9. 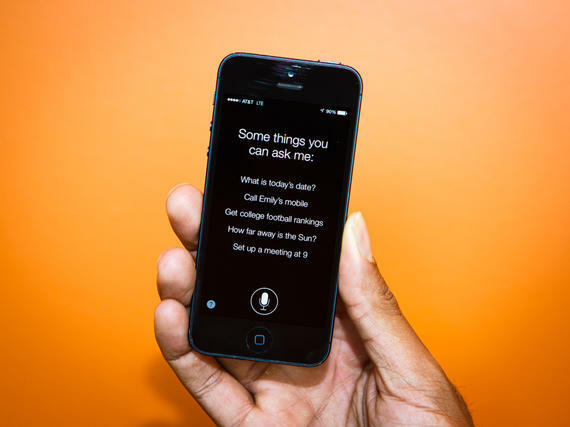 Lead Apple analyst at technology research firm Gartner, Van Baker, states that `if Siri were to add a voice-to-text feature, its counterparts Google Now and Microsoft Cortana would be likely to add similar options’.